WS2812B Led Strip Work With DC5V, And it needs a WS2812B Led Controller Control it! 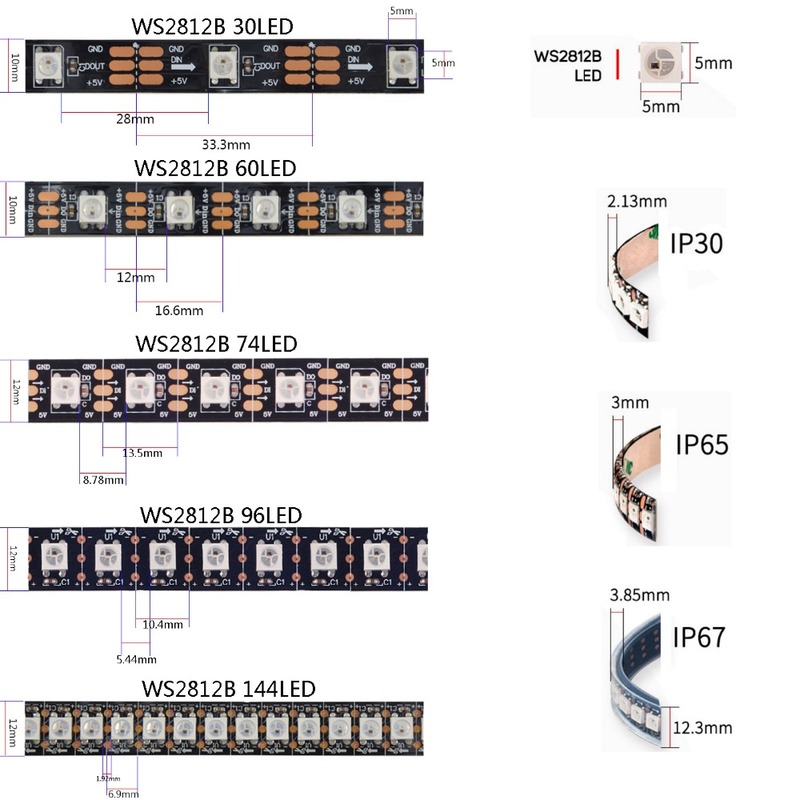 1) WS2812B Led Strip is Powered By "5v Power Supply" (Not Included) And Is Controlled By A Single Data Line Of A Suitable Controller (Not Included). 2) 3-Pin JST Connector Included: Red: VCC, Blue: GND, Green: DATA. 3) the Strip has 3 m Adhesive Tape On the Back (EBehoudens alternating Ip67). Installation Surface Must Smooth, Clean And Dry. 4) Led Strip Can Be Cut Between Each Led To Custom Lengths. 5) Not Bend Strip Sharp. 6) longer Runs Should Be Fed Off Both Ends Reduce Voltage Drop. 7) 3-Pin JST Connector Wire is 20AWG.